Yoga bras and sports bras that will hold you in, so you won’t be held back. Our designer yoga bras are something to brag about. Made with luxurious 4-way stretch and moisture-wicking fabric, these little numbers are packing major style and support. 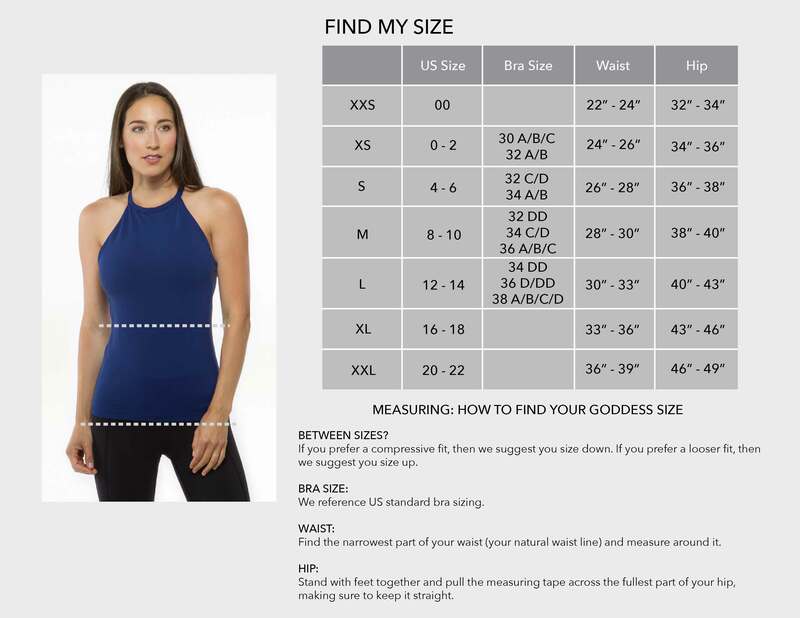 Fashioned with pockets for optional bra cups and a double layer for extra support and compression, these designer yoga bras offer a level of high technical performance that will never let you down. Made with the everyday woman’s active lifestyle in mind, our yoga bras and bralettes can be worn under a deep v-neck or sheer top or paired up with any of your favorite loose-knit shirts for a chic and effortless, athleisure look.